01: Stunted - E and Ari panic when Vince agrees to do his own stunts in the new Nick Cassavetes movie. Drama and Turtle have work issues of different kinds, and Ari considers a foray into the NFL. 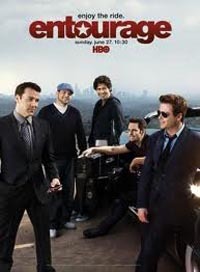 02: Buzzed - Following his successful car-jumping stunt, Vince's devil-may-care attitude causes problems for Ari, who is negotiating with the NFL. Eric is dragged into Drama's search for a TV series. Turtle has problems with an ex-employee. 03: Dramedy - Eric and Phil Yagota try to convince Drama to work on a sitcom. Turtle gains an unlikely partner in a new business venture. Ari and Barbara Miller clash over giving Lizzie a promotion. 04: Tequila Sunrise - After a disastrous meeting with John Stamos, Drama asks advice from Bob Saget to fix the situation. Turtle is skeptical when Alex proposes a new business deal; Eric and Scott try to keep Vince's career and their new business moving forward.